Linea PelleL Great Gift Ideas! Linea Pelle is internationally distinguished as the premiere designer belt company offering the very best in casual luxury. Linea Pelle belts have become a favorite of Hollywood stars such as Lauren Conrad, Jessica Simpson and Rihanna. 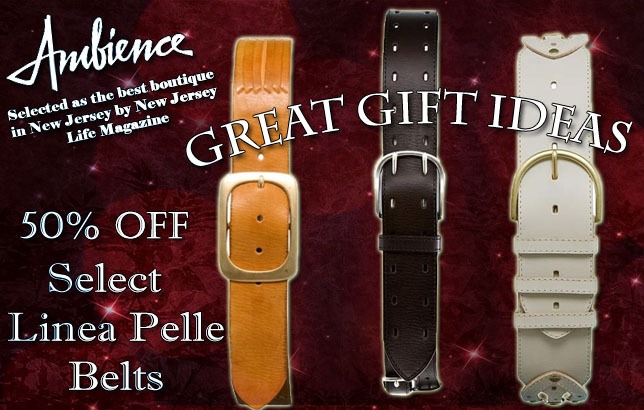 Select Linea Pelle belts are now 50% at www.shopambience.com.